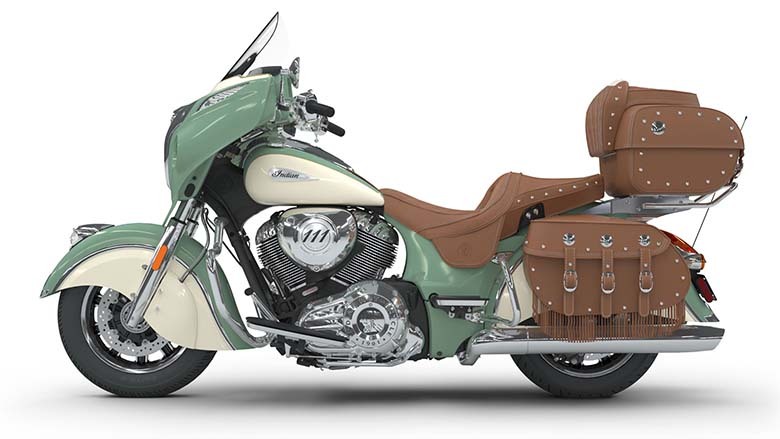 The Indian brand is well-famous for its high performing touring bikes. The new 2018 Roadmaster Classic Indian Touring Bike is another impressive masterpiece by an Indian brand. It features ABS, Keyless, multi-setting heated seats, cruise control, and grips. This touring bike is available in Red and Willow Green over Ivory Cream color combination. Both of these color combinations feature the desert tan genuine leather touring seats and trunk. 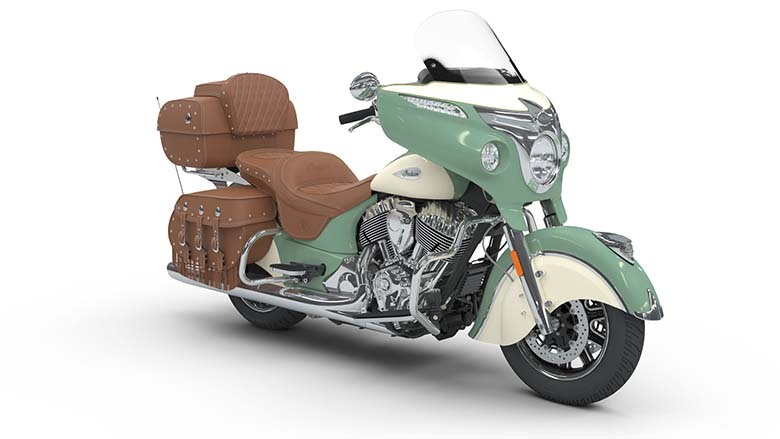 The review of new 2018 Roadmaster Classic Indian Touring Bike with its price and features are given below. The new 2018 Roadmaster Classic Indian Touring Bike comes with the powerful thunder stroke 111 engine. This engine has been specially designed by getting inspiration from Power Plus motor of the 1940s. It features the Multi-direction finned valve covers, organic, asymmetric fin styling, right-hand cam covers, classic 2/3 head-to-cylinder neck down. This engine features the torque of 119 ft-lbs giving an ultimate torque at low RPM. Its high performing engine makes it one of the Best Touring Bike in the World. The latest keyless ignition allows the rider to start just by pressing the start button. The new 2018 Roadmaster Classic Indian Touring Bike features the strong cast aluminum frame which is light and exceptionally strong. This frame provides superb riding pleasure and stability during high speed. This cruiser features the distinctive genuine leather trunk which was custom-designed to match an iconic look. The fuel tank has the capacity of 16 gallons of a whole leather trunk that can easily hold two full-face helmets. The new 2018 Roadmaster Classic Indian Touring Bike is loaded with the chrome accents such as the new teardrop tank badge. This touring bike provides the 33 gallons of cargo space with the quick release leather-wrapped trunk. There are the unique and genuine leather saddle bags used, which were custom designed that gives a similar look of the Roadmaster Classic. These touring bags contains adjustable metal buckles and leather fringe. The ABS braking system gives confidence during the ride. The new 2018 Roadmaster Classic Indian Touring Bike is available with a price range of $26,999 to $27,399 only. Standard Equipment ABS, Cast Aluminum Frame having Integrated Air-Box; Cruise Control; Highway Bar, Tire Pressure Monitoring, Keyless Ignition, Horizon Power Shield; Desert Tan Genuine Leather Seats; Remote Locking Hard Saddle Bags, Heated Grips, Remote Locking Trunk, 200 Watt Stereo with AM/FM, Bluetooth, USB, Smartphone Compatible Input, and Weatherband; Heated Rider & Passenger Seats, Adjustable Passenger Floorboards, 32.7 Gallons of Storage. 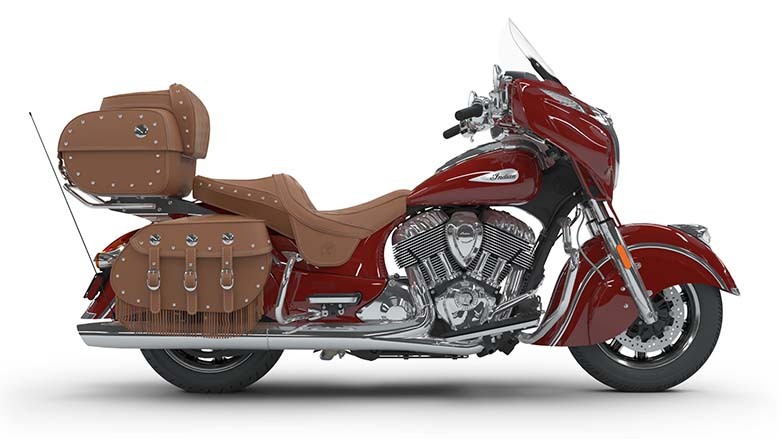 This review article provides the full review of new 2018 Roadmaster Classic Indian Touring Bike, and it is covered under www.bikescatalog.com. This new touring bike features the most powerful and high performing engine. It features the durable and attractive color combination that always demand for a second look. 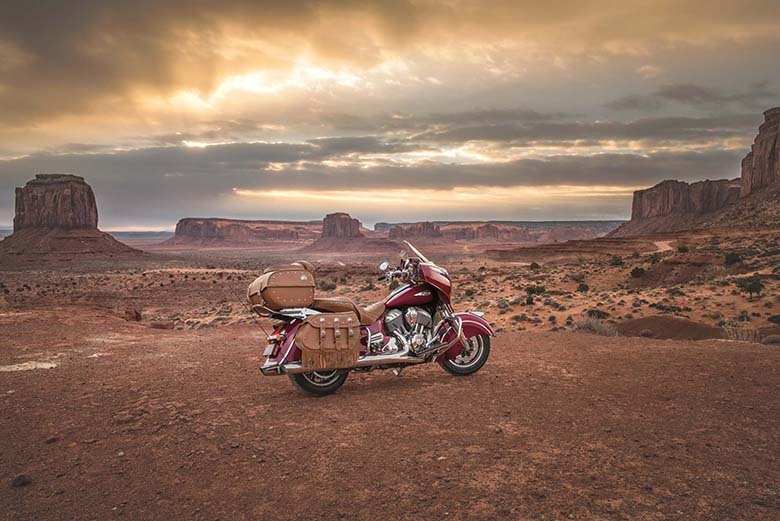 Those riders who prefer riding a long distance ride on bikes should think about purchasing the new 2018 Roadmaster Classic Indian Touring Bike.